You mean, hiking is more than just walking? And therein lies the beauty of hiking! You can do your own thing, and still be a member of the hiking community. Types of hikers (social or solo) and types of trails are a mix and match extravaganza, which makes for some highly interesting trail encounters. And the best hiking trails and best gear are a personal preference. If you're new to hiking, you might want to start with this heartfelt and simple hiking advice. Find your ideal hiking partner here. Read four great reasons to start hiking. Learn how to interact with the 6 types of hikers. Plan your best hiking vacation. Or dive right into this overview of the types of hiking you can select from, with plenty of hiking tips to get you started. Because the kind of hike you want to do matters! Can you spot me on this dayhike trail near Mt. Rainier? If you're a beginner hiker, dayhikes are the way to start building trail skills. Select well marked, maintained trails within easy commuting distance from home. Scope out the terrain to estimate how tough the hike will be in terms of time and effort. Calculate your turn around destination and time point. Spot water sources (or be sure to carry extra water if there are none). Anticipate landmarks (if you don't reach them, maybe you took a wrong turn). Along with packing a great day hike lunch, be sure to carry the hiking ten essentials in your backpack just in case that wrong turn costs you hours of daylight. Even if it's "just a day hike", you need to be prepared to take care of yourself outdoors overnight. Once you have a few seasons of dayhikes under your boots, you might want to consider navigating off trail using maps and GPS navigation skills. 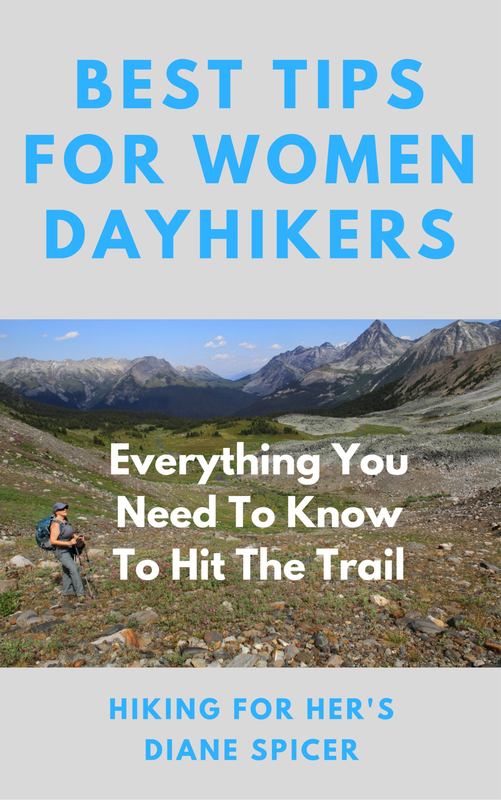 Want all of the best hiking tips for dayhikers in one spot? This Hiking For Her book igathers them together for you! Why turn around and go home when you can stay overnight in a favorite hiking destination? An overnighter or weekend backpacking trip is the way to go! and a greater commitment to safety and comfort. The best tips for planning a successful overnight are yours right here. If you're just getting started with overnight hikes, base camping might be best. Make solid plans to provide a reliable home away from home (a.k.a. your tent or a tarp) in all but the mildest weather. Everybody's gotta start somewhere, and keep going from there. To make a longer trip feasible if you're a hiker who can't carry a heavy backpack, consider the merits of ultralight backpacking gear here. Nothing gives you deeper satisfaction than gazing at a mountain peak or leafy ridge from the peacefulness of your camp site, knowing that you got yourself AND your gear there using the strength of your legs and your trail smarts. Once you've mastered the backpacking gear list and have your backpacking menus dialed in, you're going to crave more trail time in out of the way places. Sooner or later, the call of the wild will begin to whisper in your ear. For an off-the-beaten path place to backpack, try the Porcupine Mountains in the upper peninsula of Michigan. To go even more remote in that part of the world, you can try Isle Royale hiking. If something is holding you back from achieving your first hike, or your first big hiking goal, Hiking For Her can be your hiking coach or mentor. Not sure what the difference is? 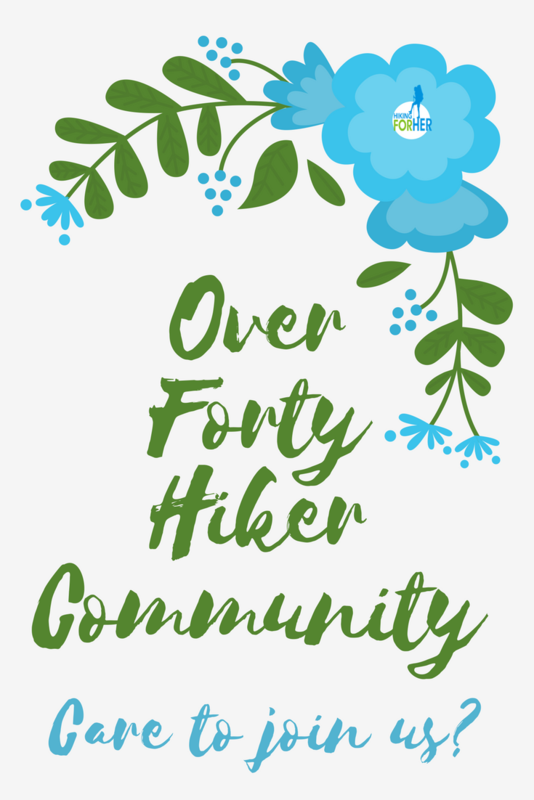 Then you might be delighted to find out that we have a private community of women called Over Forty Hiker, waiting for your participation and unique perspective. Find out all the details about joining! 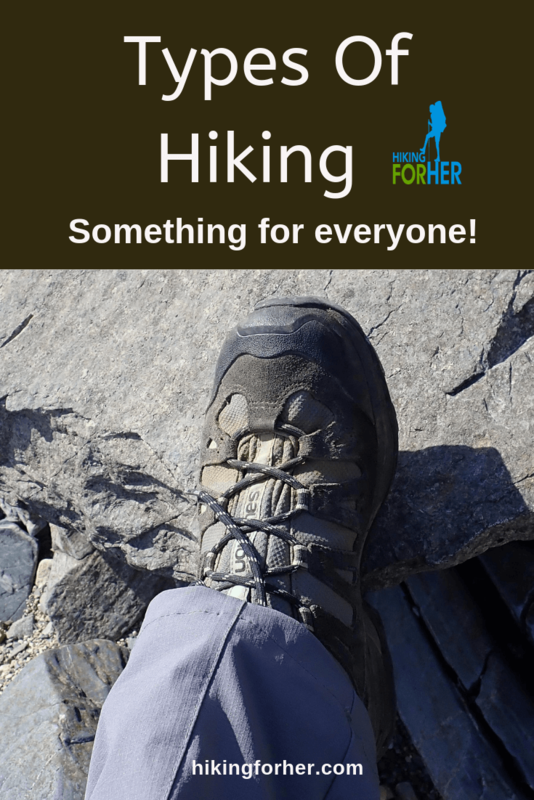 Let's continue our look at the types of hiking you might like to do. If your significant other suggests a backpacking trip, why not go for it? Or why don't you suggest it? Types of hiking for women can definitely include a romantic get away. Just use these tips to make your trail time add up to romance, even in the face of the realities of hiking. No way around the fact that hiking is hard work in terms of sustained muscle contractions and physical strength. In fact, hikers are classified as endurance athletes! It's possible to burn 5,000+ calories on a dayhike, although more modest numbers can be achieved each time you hit the trail. Here's my take on what hiking for weight loss looks like. Forming a regular hiking habit will also tone up your major muscle groups and lead to a serious addiction to the outdoors. While that might not move the needle much, your hiking clothes will fit better and you'll notice a different reflection in the mirror (or alpine lake while you eat lunch). Once you hit your weight loss goal, you can transition into other types of hiking. Use this page for ideas. Wear high performance clothing that fits and looks great while you're pursuing your weight loss goal so your hiking addiction won't be thwarted. To get a taste of real adventure as a hiker, try heli-hiking. Well, it is pricey, but it may be just the slice of heaven you need to create lifelong hiking memories. If you've never been in a helicopter, you're in for a thrill. The noise and power of the beast are harnessed for your arrival at backcountry destinations that few humans achieve. You'll need the coordinates of the cache, a navigational unit like a GPS or smartphone app, and a set of sharp eyes to locate your treasure. That link above will get you started. This is a great way to get kids interested in hiking, because their innate curiosity will pull them along the trail (snacks help). Does this sound like a scary idea to you? Night hiking is not for everyone, but it's a great skill to develop. And the rewards of navigating a trail using only your night vision are a big thrill. These trustworthy tips for night hiking will get you started. Don't let Mother Nature dictate when you'll take a hike. 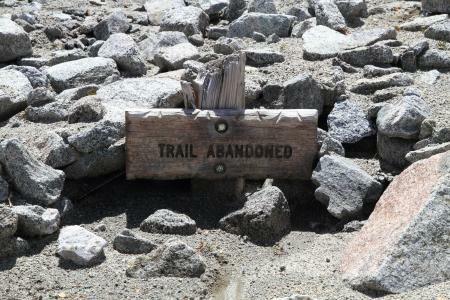 Not everyone can access a dirt packed or rocky hiking trail. For folks with mobility issues, and those who plan hike with folks who use a wheelchair or stroller, accessible hiking trails are a must. If you're free of dietary restrictions, you're one lucky hiker! Some of us (myself included) need to pay careful attention to the food we pack for day hikes and backpacking trips. And let's not neglect hikers with dietary preferences, such as organic trail food. I happen to live in an incredibly diverse area for hiking opportunities: Washington State, USA. On the east side of the state are rolling flat lands with geologic history that is well worth studying. On the west side, where I live near Seattle, are the mountains: the Olympics on the coast, and the Cascade Range (divided into North, Central and South in this state). If you've ever wanted to get in some serious alpine wandering time, you can read up on what Pacific Northwest hiking has to offer you. 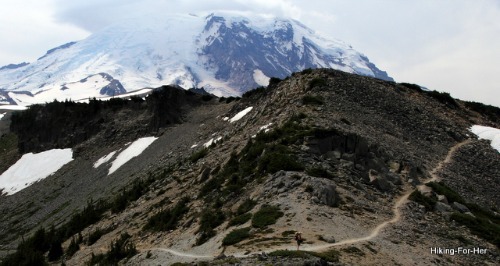 Washington State has several active volcanoes with lots of hiking trails near (and on) them, too! Mount Rainier hiking is my favorite. Interested in Vancouver Island, BC hiking? Consider the challenging but rewarding West Coast Trail. the best types of hiking! As just one example of a fantastic Mount Rainier hike, try Comet Falls and beyond to Van Trump Park. While you're on the Paradise side of the mountain, check out Reflection Lakes and hike up to Pinnacle Peak. Or Eagle Peak, on the opposite end of the Tatoosh Range. 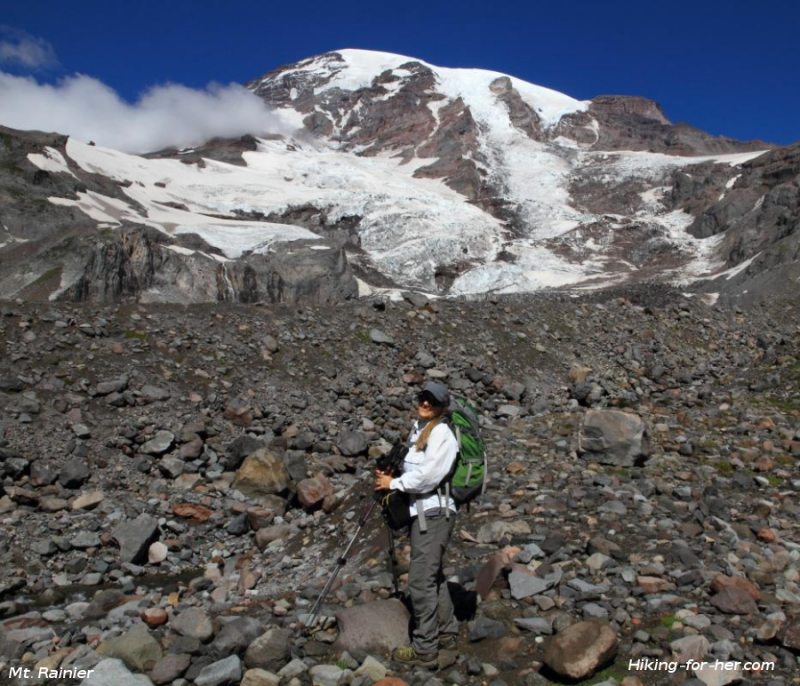 Loving the idea of lots of Rainier day hiking? 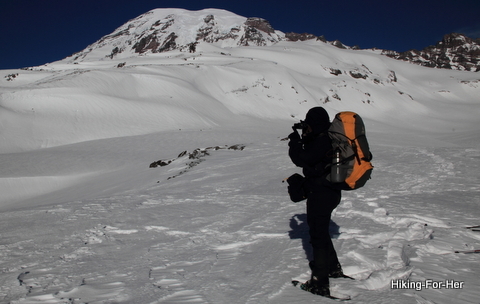 Or take a peek at these 3 "gotta do" Mount Rainier hike descriptions. The Pacific NW is at the top left of your map of the United States. So you can use my tips for all types of hiking in Washington and Oregon to cross off some bucket list hikes. But are you ready to head south instead? New Mexico offers some amazing hiking in the Gila Wilderness. Arizona hiking trails are numerous, varied, extensive and fascinating. The Grand Canyon or a hike through a petrified forest sounds appealing, doesn't it? Nothing says winter like sunny warm days on miles of trails. Be prepared with some hot weather hiking tips. Some of us like cool summers, and avoid hot trails. Need to feast your eyes on 14,000 foot peaks? Colorado hiking trails are for you. On the other hand, Yukon hiking in the north has its appeal: solitude, caribou herds, and virtually untouched wilderness. If you want cool temperatures, big mountains, high alpine adventures, minimal human company and plenty of chances to encounter bears, why aren't you hiking in the Canadian Rockies? Mount Robson hiking in the Mount Robson Provincial Park in British Columbia. Kinney Lake, Mt. Robson Provincial Park, B.C. Be aware that high altitude hiking brings its own challenges. Read the tips in that link to get ready to tackle elevation over 6000 feet. Big adventure means you'll have to work hard to leave other human beings behind in the front country. It's not called backcountry hiking for nothing! If you have the hankering to hike an isolated, pristine wilderness in the middle of Lake Superior, look no further than Isle Royale. A boat or plane ride will get you there. Wanna go WAY off the beaten path? Try East Greenland, or the Arctic National Wildlife Refuge (ANWR)! Solitude will be yours in the South Nahanni (Yukon). Wrangell St Elias National Park and Preserve in Alaska is another big rugged paradise for hikers to explore! Bush planes, helicopters, rafts, boats ... plus your strong backpacking legs will get you into the back country. Mix and match these for a fantastic adventure. And ponder the merits of lighweight or ultralightweight backpacking gear to make your wilderness trips more enjoyable. You'll know you're somewhere really special if you set off to explore the surface of a glacier. This type of hiking is technical, meaning it requires specialized knowledge and gear. So it's not for everyone. 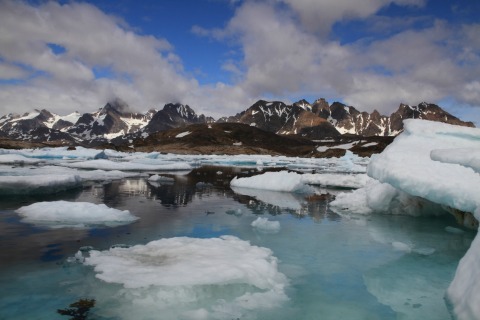 Plus, you need a glacier, which might be harder to do in the coming decades. To get a feel for what glacier hiking is like, read my account and see some photos of glacier exploration in Wrangell St. Elias. Have you had a major life transition recently and want to walk for clarity and reflection? Tired of the same old, same old trails? Walking the Camino de Santiago might be just what you need to scratch that itch. testing your ability to stay open to opportunities for new sites, sounds and adventures. Are you concerned about the vanishing wilderness? Do you see people trashing a campsite and wonder why they don't respect the outdoors like you do? Would you like some ideas on how you as a hiker can model the ethics and stewardship of socially responsible hiking? 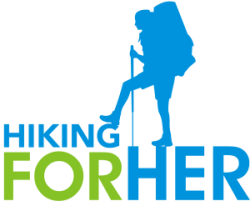 Read Hiking For Her's thoughts on this important topic here. Hikers and hunters share outdoor spaces. It's your responsibility as a hiker to know when hunting seasons begin and end. And to make yourself visible, audible, and the opposite of a target. Use these safety tips to accomplish all of that, so you can co-exist with hunters both on and off trails. Why stop hiking when the snow flies? There are at least 8 great reasons to take a winter hike. Your navigation skills have to be well developed, though. And your turn around time is absolutely non-negotiable, unless you find snowshoeing by headlamp or full moon an edifying activity: yet another type of hiking. Just be sure you know these cold weather hiking tips. Consider what you need to eat and drink, too. And use these snowshoeing safety tips. Even if you don't want to snowshoe, but do want to hike during winter weather, take these winter hiking tips to heart. Doesn't this look like a blast?? Hikers get hungry in the spring for green leafy shoots - and you can take that as a dietary preference, a photographic craving, or botanically. In the spring, trails are muddy and the weather is moody. Temperatures swing from pleasant to not-so-much. A spring hiker needs to be prepared! Read these tips for spring hiking, and enjoy your spring trail adventures to the fullest. And once the warmth of the summer sun fades, you've got plenty of trail fun to look forward to. Make the most of crisp days with this fall hiking clothing and gear guide. Another type of hiking which is near and dear to my heart: teaching young people how to fall in love with hiking. Hiking with kids and babies is an art unto itself. Even more so with teenagers! I spent many years as a Girl Scout and Cub Scout leader while my son and daughter were growing up. I led groups of kids from ages 6 through 15 on camping and backpacking trips. And I love to work with youth leaders on skill building for the next generation of hikers. If our young people don't appreciate and nurture the outdoors and everything in it, there goes the planet! So if you're working with kids and hiking, let me know how I can help you, because I hold you in high esteem. And if family hiking is something you do regularly, congratulations! I'm proud to state that I've reached that special age bracket where the phrase "elder hiking" describes me. But I'd prefer not to put numbers on it. In my opinion, age is an attitude, not just your biological age. However, a basic fact of living in a human body is that accumulated wear and tear on joints and cartilage, plus improper conditioning, can leave an older hiker with aches and pains. Oh, let's say 50 years or so. I'll let you be the judge of when YOU become a wise old sage on the trail! I also want to point out that hiking is good medicine, regardless of your age. Being in the outdoors for prolonged periods of time helps you deal with stress. That, combined with the cardiovascular and musculoskeletal work out of a hike, will keep you in top shape. And speaking of dear Mother Nature, did you know that some hikers prefer to hike with nothing between their skin and the brambles? Not quite ready to bare it all? How about barefoot hiking to start you off? Showing your skin and bare toes to the world is definitely one of the more unique types of hiking! Just in case it hasn't occurred to you, hikers need a break away from the grinding trail once in awhile, too. I call those types of hiking breaks "mental hiking" as I bask in the sun, plotting my next adventure! This may be one of the most important types of hiking, since it allows me to roam freely in a way my body can't. While we're on the subject of mental hiking, it might be a good time to consider WHY you're on the trail. This uncovers a different slant to the subject of types of hiking. There seem to be 6 types of hikers. Are you a "peak bagger"? Someone who pushes through to gain a destination, whether it's a peak, a lake, waterfall, viewpoint or some other spot on the map? Focused, prepared, conditioned, single minded hikers log lots of miles each season. Full disclosure: I have 4 maps of the Cascade Mountains, with - I kid you not!- little star stickers on the hiking destinations I've achieved over my 20 years of hiking in Washington State. The maps have lots of twinkly little stars on them! So I know a few things about what I refer to as "laser lock" hiking: here's the target, here's the route, LET'S GO! But I'm mellowing as I get older. I now entertain the possibility of other types of hiking. For instance, what about hiking exploration? If you're on an "out and back" trip, whether it's a day hike, overnight, or multi-day excursion, maybe you're focused on exploring your environment rather than counting miles. Maybe you're the type of hiker who delves into field guides, trail reports, regional books, and historical documents so you're prepared to catch every interesting area you pass through. For example, sometimes I hike with my radar set on geologic formations. My husband downloads free geology maps, and we pause occasionally to check out what we're hiking over, around, and through. We fan out in little circles, pick up rocks, compare notes, and because he's got geology training, he tells me what I'm looking at. I call these hikes my geology field trips! flowers, grasses, shrubs, butterflies, birds (botany, wildlife biology) and to what's above you: towering Douglas firs in my neck of the woods, plus clouds, birds, and the occasional freak storm. 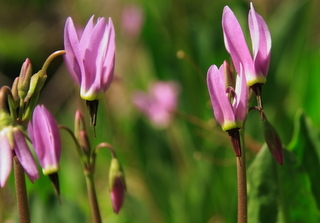 On the way to the rocks, don't trample all of the alpine flowers! Include "exploration hiking" in your repertoire of types of hiking, and you will come to appreciate your "big backyard" on an entirely different level. Once or twice a season, I allow myself the luxury of hiking for relaxation. This is one of the most therapeutic types of hiking imaginable. I pick an easy trail and swing a light pack over my shoulders: yummy lunch, pen and paper, maybe a field guide, and some water. I let my mood and the trail conditions set my pace. This gives my dominant visual sense a rest, and I end the hike in a peaceful mental space. Who should I hike with? Let's roll through your options. Where are you in your hiking career? Keep track of where you'd like to go, and keep notes in a trail journal once you've been there. Learn from your mis-steps, and learn from everyone you hike with (both positive and negative examples). I always say there are no mistakes, only opportunities for enlightenment that are thrown your way. Look through these hikes posted by enthusiastic hikers for some great hiking destination ideas. And then post your own! Please let this website continue to give you the tools and techniques you need to enjoy being a hiker, regardless of the types of hiking you "specialize" in. Diane is the founder of Hiking For Her. She’s been on a hiking trail somewhere in the world for nearly five decades, & loves to share her best hiking tips right here.